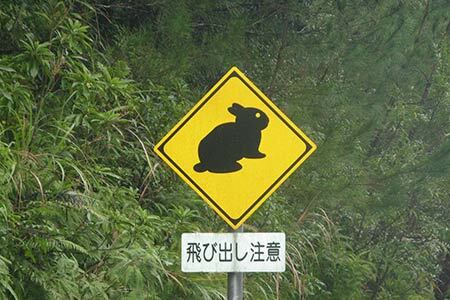 Black rabbits are only found on Amami and the neighboring island of Tokunoshima. Considered a living fossil by scientists, the black rabbit has been designated as a "Special Natural Monument". 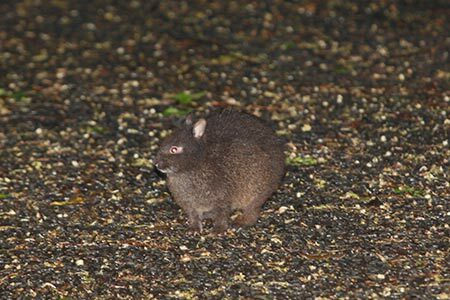 A primitive rabbit, it usually lives in mountainous forests. The current population on Amami is estimated to be between 2,600 to 6,200. These rabbits retain some primitive characteristics such as their small ears and short legs, making them not particularly suited to jumping. They are nocturnal and unusually vocal for a rabbit, communicating with a high-pitched call. 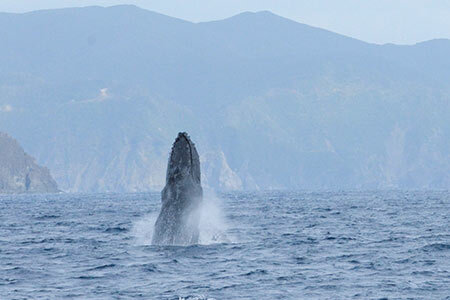 From about January to April, humpback whales migrate through Amami's offshore waters. Sometimes they are accompanied by their babies. From the prow of a boat, visitors can observe the whales blowing, breaching, and a lucky few might even hear them singing. 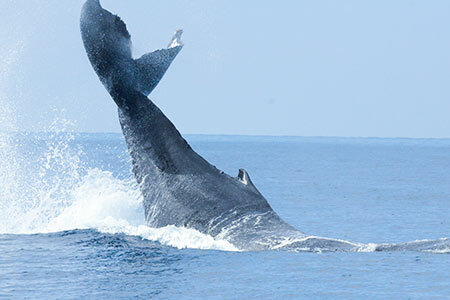 Seeing living whales at close range will take your breath away. Two species of sea turtles live in Amami. 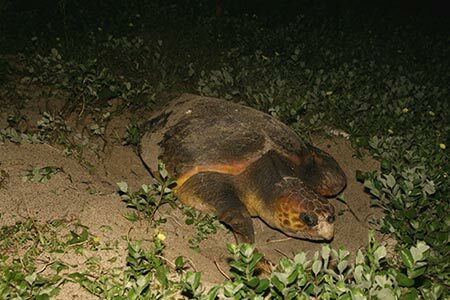 One is the loggerhead sea turtle, which comes ashore to lay its eggs in early summer. However, outside of the egg-laying season loggerheads are rarely seen, even in the sea. 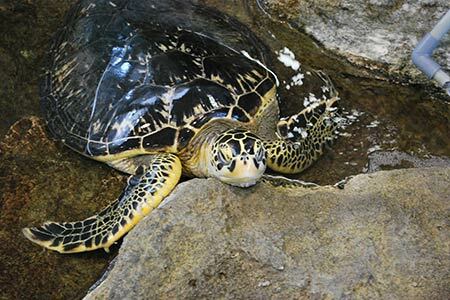 The island is also home to the herbivorous green sea turtle. 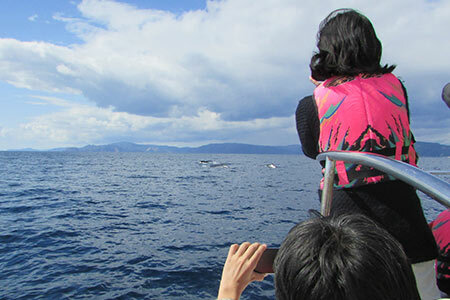 They can be seen swimming in Amami's waters all year round. 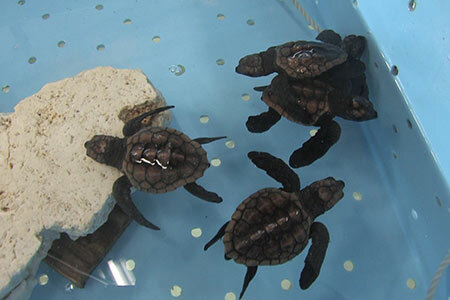 At Amami Aquarium near Ohama Beach, some sea turtles are kept and bred for preservation purposes. Visitors can enjoy hand-feeding lettuce leaves to the baby turtles. 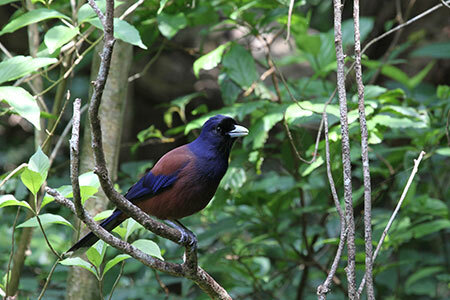 Amami's subtropical rainforests are sanctuaries for various kinds of birds, including the Lidth's jay, the Amami white-backed woodpecker and the Ryukyu ruddy kingfisher. 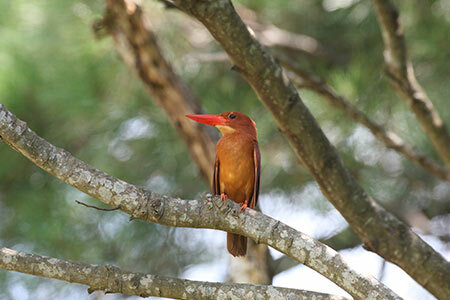 Bird watchers from all over the world come to Amami in hopes of capturing a rare species with their cameras. 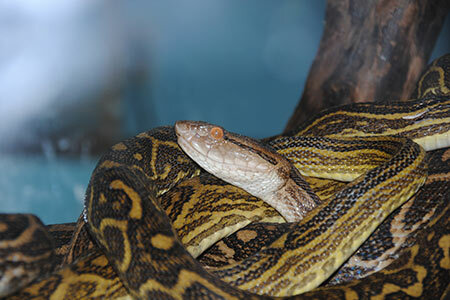 Habu are venomous snakes found in Amami and several of the other Ryukyu Islands. 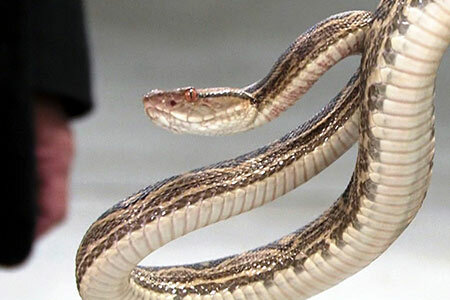 Habu venom is no stronger than that of other snakes, but they inject a much greater quantity of venom into their prey with one bite. For this reason, habu bites are lethal even for humans. However, island hospitals can now save the lives of habu victims with an anti-venom, and the number of deaths caused by habu bites in Amami has decreased to an average of one per year. 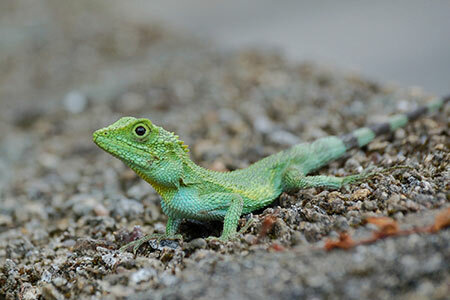 Habu are perhaps the most well-known wildlife in the Ryukyu Islands. Strongly associated with Amami and Okinawa, habu have become symbols of these areas. Oshima tsumugi, an elaborate silk fabric produced on Amami, often has patterns similar to the back of a habu woven into it. 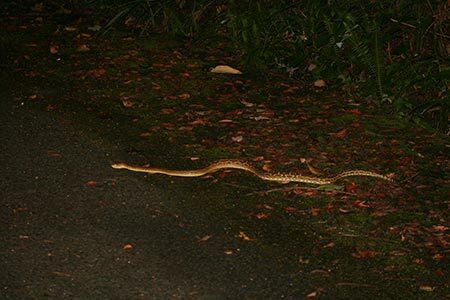 To avoid being bitten, Amami people always carry a flashlight and many avoid the sidewalk, preferring instead to walk down the center of the road on hot summer nights when habu are most active. One ecological theory argues that, because these venomous snakes are the apex predators amongst Amami's wildlife, island people are too scared to enter their territory. 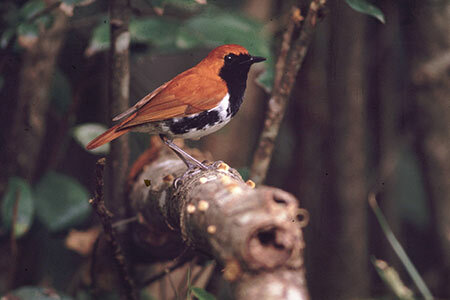 As a result, the natural environment in Amami remains relatively untouched by human development. 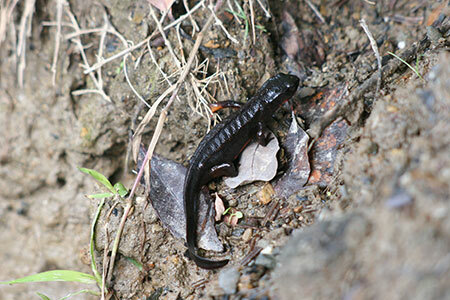 There are countless reptiles and amphibians living in the subtropical rainforests of Amami. One example is the Anderson's crocodile newt, which is considered to be a primitive newt that has not changed its look since ancient times. 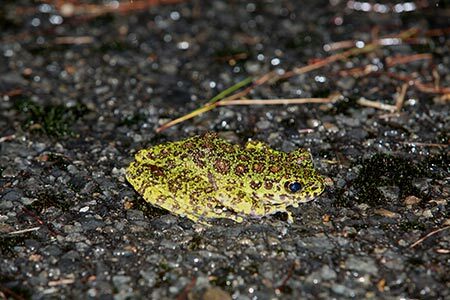 Another one is Ishikawa's frog, which is said to be the most gorgeous frog in Japan. It has gold and copper spots on its back and grows to around 10 cm long. 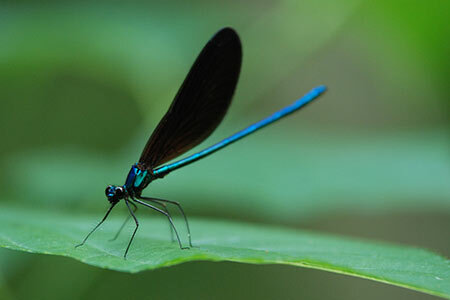 There are a number of insects endemic to Amami. 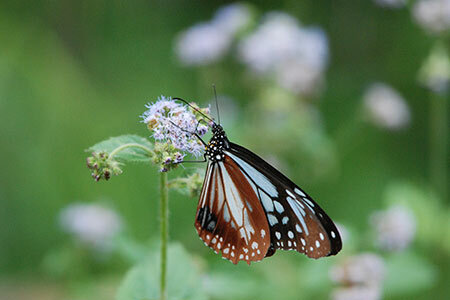 Even now, new insect species are still being discovered on the island. 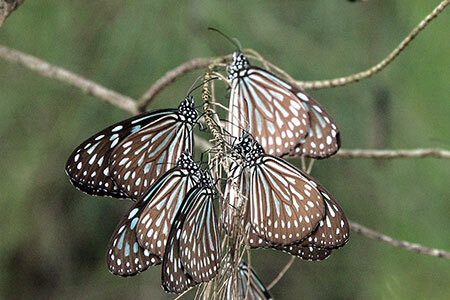 Tourists from colder climates will be surprised to see many colorful butterflies in the middle of winter. 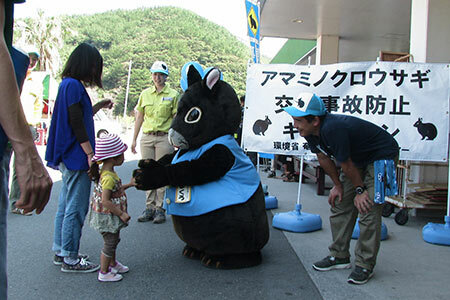 Many nature lovers from all over the world come to Amami, hoping for a glimpse of an island stag beetle. As spring comes to mainland Japan, pale pink cherry blossoms called sakura start to appear. 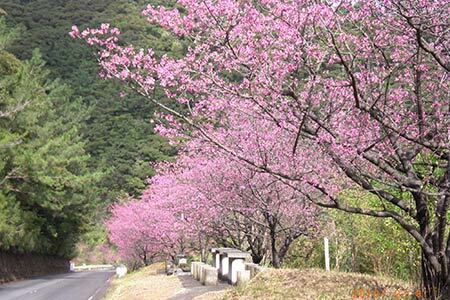 However, the sakura on Amami are a darker magenta pink, and they bloom in midwinter. 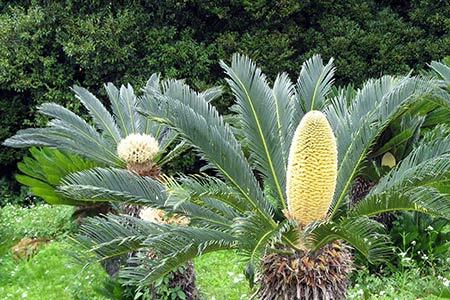 The plants growing in this subtropical climate are totally different from those in mainland Japan. Amami's scenic views are characterized by many exotic plants and flowers, including large ferns, fragrant lilies and delicate orchids. 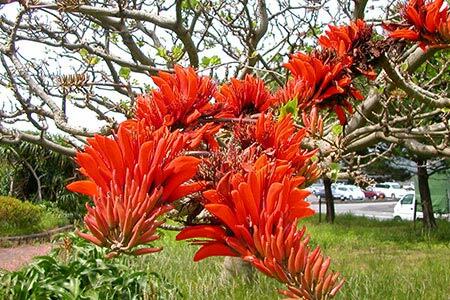 First-time visitors are always amazed to see that flowers are blooming all year round.